Download and print for your schools or send an email to your staff with the link. 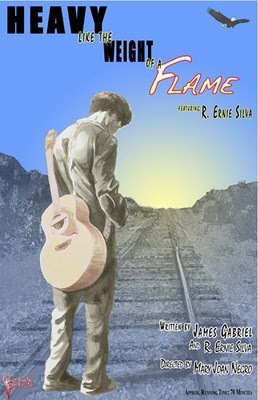 If you want hard copies delivered to you for distribution to mail boxes email more@morecaucusnyc.org. In 1977 and 1979 we ran together with TAC and we called ourselves UNITED FIGHTBACK - in 1981 we formed NAC (the N for New Directions, A for Teachers Action Caucus and C for the Coalition of NYC Schoolworkers) and ran a full slate of 675 people with Pessin as the presidential candidate. We took nearly 30% of the total vote and over 35% excluding the functional chapter. decade-old assigned role of trying to confuse UFT members into voting for them and dividing the forces opposed to Unity. It always wasn't this way. From 1990-2001, New Action which formed as a result of the merger of two caucuses (Teachers Action Caucus and New Directions*), was the major voice of the opposition, not always the strongest voice (as Ed Notes began pointing out when I started publishing in 1997) but the major place people opposed to Unity were able to go. They were able to garner over 10,000 votes and win the 6 or 7 (depending on the year) high school executive board seats in every election except one during those years. In 1991 they also won 6 middle school seats, thus giving them 13 EB seats, the most an opposition in the UFT has ever had. It was directly due to this challenge that Unity, after beating back NA in 1993 when Unity regained 100% of the EB, took the opportunity to remove the divisional vice presidents from being voted on by the members of the division to make sure the opposition never gets to be one of the 11 officers (now known as the AdCom). In other words, if the high school teachers voted NA the HS VEEP would still be Unity. Which is exactly what happened in the 1995, 97, 99 and 2001 elections. Then Randi, in what is perhaps her most brilliant move, made an offer to New Action which was worried about losing the high school seats in the 2004 elections (Unity pushed through a change from 2 to 3 year terms). She would not run ANY Unity candidates for those seats if NA wouldn't run anyone for president against her. But proving the old adage that lemonade can be made out of lemons, the actions of NA spurred 2 other groups into action. Readers and supporters of Ed Notes, which had been critical of New Action for its tepid role as an opposition even before they did the dirty deal, formed the Independent Community of Educators (ICE-- one of the major forces behind MORE today). They were joined by key defectors from New Action: James and Camille Eterno, Ellen Fox and Lisa North. ICE, founded in late 2003 and just a month old, decided to run a slate in the 2004 elections. Teachers for a Just Contract (TJC), a decade old advocacy group in the UFT, also decided to run for the first time in the 2004 elections. Both groups ran a joint slate for the high schools directly opposing the New Action slate, which without Unity running at all for these 6 seats, assumed they would win. New Action didn't, which pissed Randi off to no end. The ICE-TJC slate won those seats and put people like James Eterno and Jeff Kaufman on the Ex Bd. For James it was a continuation of his years as the NA rep but now combined with Kaufman, the two of them raised hell with the Unity agenda, challenging them in a way they had not been before. One can imagine how people like NA dictator Mike Shulman felt sitting and stewing at EB meetings watching James and Jeff do their thing. And plotting with Unity how they could remove these thorns in both their sides. And remove them they did in the 2007 and 2010 elections when they made sure a mix of New Action and Unity controlled the high school seats by running 3 from each caucus on both the Unity and New Action slates. In addition, New Action was given 5 more EB seats at large, including Shulman, who as a retiree finally made it on to the board. In both elections, ICE-TJC almost doubled the NA high school vote but when their totals were added to the Unity total that shut out ICE-TJC which got no seats on the board. A look at the 2010 HS slate voting totals: Unity 2600, ICE-TJC 1350, NA 750. A total of roughly 5000 votes out of a potential of almost 20,000. In the 2013 elections with the rise of MORE, Unity needed New Action more than ever and has rewarded them with 10 EB seats. Thus if you look at the ballot you will see 10 New Action (and 4 Unity, including Mulgrew) running on both slates. When you see your ballot you will notice that there are only 2 presidential candidates. Julie Cavanagh for MORE and Mulgrew with Unity/New Action next to his name. Thus there are only 2 real choices in this election, not 3. And if you are a high school teacher you will see an interesting mix of EB candidates for your division. 7 MORE people and 7 mixed New Action and Unity. These are winnable seats if high school teachers come out to vote and vote for MORE, thus giving a real opposition a beach head in the exec bd. Thus it is crucial to get out the vote from the 25-27% in the last election which would give MORE a chance to defeat the NA/Unity combo. In an upcoming post I will tell you about these 7 MORE people. In 1990 the 2 major caucuses in the UFT merged into one caucus with a lot of promise. TAC was founded in 1968 as an outgrowth of Teachers for Community Control (TCC), which consisted of people who had been associated with the old left Teachers Union which had disbanded in 1964 after suffering from years of persecution from the Board of Education over their ties to the Communist Party. (The very founding of the UFT was part of this anti-left push, but that's for another time.) TCC supported the community against the 1968 UFT strike and when they formed TAC they were branded scabs for many years by the UFT. Despite that they ran campaigns in UFT elections and found a following among teachers on the left, many of whom entered the system in the late 60s. Some were with what was termed the "New Left" and internally there were struggles between what was termed the "Stalinist pro-Soviet" old left and the mostly Trotskyist New Left. As a non-leftist I entered into this world in the fall of 1970 in my 4th year of teaching. I was associated with a group of left-oriented people who were in neither camp but willing to build alliances. We tried initially with TAC but found that organization locked in its own narrow frame of politics and could make no headway moving policy changes. So we left and formed not another caucus but an advocacy group called the Coalition of NYC School Workers. We had no intention of running in elections but spent a lot of time analyzing and writing on policy and we attracted a large group of followers, including many from the New Left/Trotskyist groups who had no where else to go even if they were unhappy with some of the direction we were heading in. It wasn't until around 1980 that New Directions began to join with us to run in elections throughout the 80s, even winning the high school vice president seat for Mike Shulman in 1985, an event that shook Unity. (Some irony here and an entire story how Unity sued themselves that the election was unfairly run and forcing another election, thus keeping Shulman from being seated for almost a year). Sometime after that, ND had another purge, tossing out their leader Marc Pessin (I could write a book on him) who was apparently obstructing a move to merge with TAC, which had been a bitter enemy and would never have joined with ND as long as he was involved. ND had moved steadily to the right in a sense in that it ignored almost all social issues. Which was interesting and seemed to pave the way for a merger between the old left TAC which had been branded as scabs for breaking the 68 strike and more right ND. The idea of Unity making a deal with anything to do with TAC was inconceivable until both Shanker and Feldman were out of the picture given their history of ani-communism. Even people like me were preferable and I had quite a few conversations with some of the upper echelon Unity people who loved my critiques of New Action, who they considered spineless. And so they turned out to be. When Randi made the deal with New Action in 2003 there was just a bit of churning and turning in the graves of the old UFT right wing social democrats. The old guard was not happy, but there was such turnover in Unity, there was no real resistance. Superintendent Jose Banda announced today that no teachers would be disciplined for boycotting the exams known as the Measures of Academic Progress, or MAP, this winter. District leaders concluded that none of the protesting teachers had responsibility for administering the exams, Banda said, so they were not insubordinate by failing to carry out their duties. At many schools, Banda said, other school staff or parents are responsible for giving the test, not teachers. It’s possible that no teachers failed in their duties because other staff members stepped in to give the exam. At Garfield, after teachers announced their boycott in January, administrators stepped in to give the exams. Banda had earlier told Garfield teachers they would face discipline for boycotting the tests. There were definitely teachers at Garfield whose students were supposed to take MAP reading or math exams during the winter testing period, said Kris McBride, the school’s academic dean and testing coordinator. McBride said Garfield teachers they soon will announce whether they will continue the boycott for spring testing, which is scheduled to start April 22. The superintendent of Seattle Public Schools says no teachers will be disciplined for refusing to give students the district-wide Measures of Academic Progress (MAP) test. The district got international attention after dozens of teachers at several schools boycotted the test this winter, calling it a waste of time and money. Students in Seattle Schools take the MAP test in reading and math two or three times a year, from kindergarten through ninth grade or beyond. In January, dozens of teachers said they wouldn’t give the test winter quarter because it ate up class time without producing useful data. In response, the district threatened teachers with two weeks of unpaid suspension if they didn’t administer the test. But in a letter to district employees today, Superintendent Jose Banda said it turns out the teachers who refused to give the MAP test didn’t break any rules after all. "In talking to the administrators, they didn’t find, or we didn’t find, that any of the teachers did not perform their duties as was expected with regards to the MAP testing," he said. According to Banda, that’s because none of the boycotting teachers were actually responsible for administering the test. For instance, at Garfield High School, hundreds of students joined the protest by opting out of the test. Banda says teachers had to stay in the classroom with those students while other staff members administered the test in another room. Garfield history teacher Jesse Hagopian called the superintendent’s decision a "huge victory" for protesters. "Teachers at Garfield are celebrating today. You would see a lot of smiles down here in the doghouse," Hagopian said. But Hagopian says the superintendent’s letter makes it sound like the boycott never happened. He said the real reason teachers aren’t being disciplined is the attention the protest received. "Students, parents and teachers all over the nation called, and e-mailed, and wrote letters, and protested, and rallied, and made their voices heard for an alternative to the MAP test. They couldn’t be ignored," Hagopian said. The district recently changed the MAP testing policy so fewer students will have to take the exam. But Superintendent Banda said he still expects teachers to give the test spring quarter. Hagopian says he expects even more teachers will now boycott the MAP test. Marking the MORE slate with a big X will count as a vote for each of this great slate of elementary exec board candidates. Now in the bizarro world of the Unity Caucus voting system, MORE Veep elementary school candidate Sam Coleman is voted on by every UFT member and will appear on all the ballots while the 11 MORE elementary Exec Bd slate will only appear on the ballots sent to elementary school teachers. This is a powerful elementary school list of people who will transform the way the UFT will address the assault on the elementary school classroom teacher, often termed "the infantry" of the school system. They are all great teachers and activists and many are also current, former or future parents of public school students. Sam Coleman, Vice Presidential Candidate for Elem EB, is in his 8th year as a dual language elementary school teacher at PS 24 in Sunset Park, Brooklyn. He served as UFT delegate and is an active organizer with a number of grassroots educator groups in NYC. 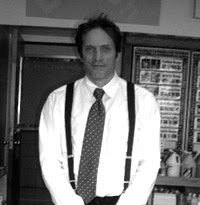 Jamie Fidler, who starred in the documentary American Teacher, has been teaching in the NYC public schools for 10 years, at PS 261 in Brooklyn for most of that time and has been an education and social activist for the past decade. 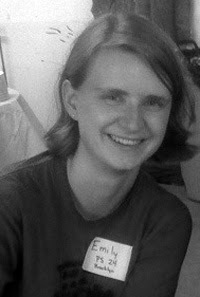 Emily Miller has been teaching for 6 years and is a second grade teacher in a Spanish/English dual language program in Sunset Park, Brooklyn. “I am running with MORE because students, families, communities and teachers are all in it together. We all want our students to have a high quality education. As MORE says, our working conditions are our students' learning conditions. Smaller class sizes are good for teachers and are very important for students. Evaluating teachers based on student performance on standardized test scores is not fair to teachers and the over emphasis on high-stakes standardized tests is harmful to students. Lauren Cohen has taught elementary schools for eight years in self-contained special education, inclusion, and general education classes and currently teaches 5th grade at P.S. 321 in Park Slope. "I am running with MORE because I believe that teachers need to collaborate and mobilize against the attacks on our profession and our students. I used to work in a school with an abusive administration, where I earned a reputation among my colleagues for speaking out against policies that were both harmful to children and violations of our contract. Without the backing of a democratic union, however, it was difficult to effect change and stop the onslaught of excessive paperwork, arbitrary denial of tenure, and inappropriate letters in our files. My renewed passion and drive came from the realization that the threat to the teaching profession was much larger: the systemic obsession with quantitative measures of success has narrowed the curriculum in many schools and marginalized any student whose strengths lie in areas other than reading and math. I am a member of Change the Stakes, a group of parents, teachers, and other NYC residents who are fighting back against the use of high-stakes tests to punish schools, teachers, and students." 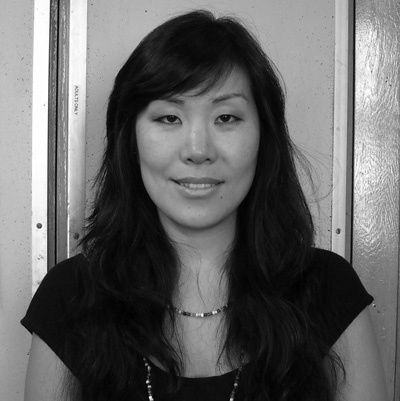 Jia Lee has taught since 2002 in a self-contained Bronx high school, then a middle and now an elementary school in the East Village. “As a special educator, I held high hopes the UFT leadership would advocate for our profession and students against value-added models of evaluation that have caused devastating school closures and the demeaning treatment of teachers. My faith in our current political and union leadership has waned as our voices have been ignored in the current climate of top-down educational reform. I joined MORE because it is an integral voice in our union against corporate infiltration. MORE pushes for a democratic process within our union. MORE understands that union leadership represents its members. As a special education teacher and parent, I find myself feeling hopeful again. Being asked to run with MORE is not only an honor, it is an obligation to my colleagues and our students. Thank you. 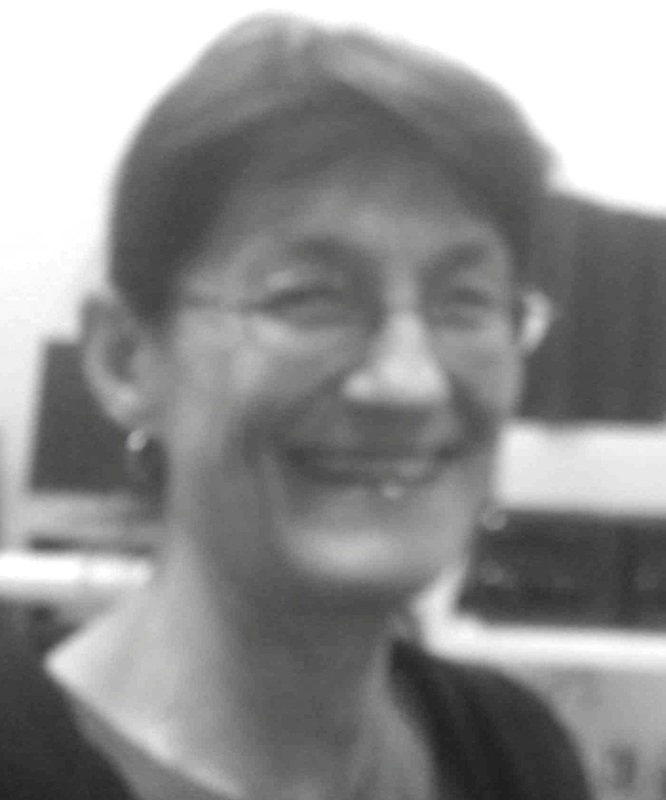 Mari Caputo has been teaching at PS 84, D.14, Brooklyn, for close to 25 years. She has served as UFT delegate and is currently serving her first term as Chapter Leader. 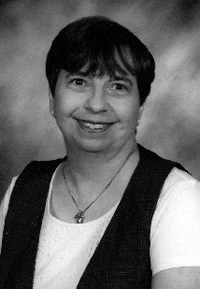 She is a longtime education activist, advocating for developmentally appropriate, child-centered and experienced-based education for all students. "We need a union that hears and respects more voices. We need a union that is dedicated to creating, supporting, and protecting excellent working conditions for teachers in every school across our city. I am running with MORE because this caucus has taken a position against the value-added method of ranking teachers which reduces us all to numbers. I am running with MORE in an effort to bring respect, debate, understanding, and joy back to our profession." Karla Tobar is a 3rd grade bilingual teacher in her fifth year of teaching. She is a delegate at P.S. 443 in the Bronx and a core member of the New York Collective of Radical Educators (NYCoRE). "I am running with MORE because I believe in a democratic member-driven union that takes the voices of all members into account. My vision of a union is one that actively organizes, educates, mobilizes, empowers, and transforms not just members, but all people." 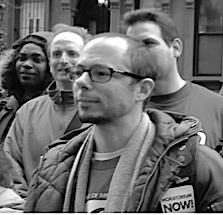 Patrick Walsh is an ESL teacher in PS/ MS 149 in Harlem for 8 years and a thrice elected chapter leader of the UFT. Yelena Siwinski has spent 18 years teaching at P.S. 193 in Brooklyn, elected co-chapter leader 8 years ago. “I educate my members about the issues at the city, state, and national levels, motivate them to take action, and lead them to fight for their students and themselves. After sitting on several UFT committees (two Negotiation and the Evaluation committees) I witnessed first-hand how Unity leaders inform us of decisions they made and deals they had brokered with very little voice was given to committee members. I am honored to be running with MORE so that my voice, and the voice of my members, is truly heard. Their vision of the union is one that is run democratically, engaging the voices of teachers, students, parents, and their communities. The only way I can ever really be part of the fight is with a MORE leadership." Lisa North has taught at PS 3 in Brookly’s D. 13 in Bed-Stuy for 24 years. She has been a chapter leader and delegate for over 15 years as well as active in many groups that include parents, community members, and educators in the fight for a better education for our students. 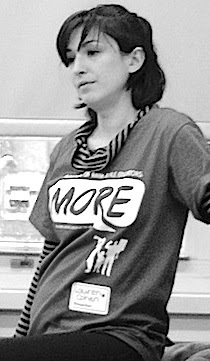 “I am running as a member of MORE because our union must rebuild from the bottom up. Every school chapter in the city must be organized to fight for an education system that provides the education our students deserve and the working conditions for us to make that possible. Our students need developmentally appropriate learning, experiential learning that builds background knowledge and critical thinking skills, NOT test prep. No more use of testing to punish schools, educators and students. Patricia Dobosz has been teaching for 30 years (20 in the NYC Public School System) mostly in Early Childhood, currently at PS 157 in D 14, Brooklyn. She is an education/community activist belonging to several grassroots education groups. Christine Wong is a special education teacher at P.S. 1 in Manhattan in her 11th year teaching. She has been chapter leader for 4 years. VOTE ONLY THE MORE SLATE ON THE TOP PAGE, TEAR IT OFF AND MAIL IT IN. DO NOT VOTE BOTH FOR A SLATE AND INDIVIDUAL CANDIDATES OR YOU VOTE MAY BE INVALIDATED. I've been watching House of Cards and was intending to write something about the anti-teacher union POV so thanks to Randy Shaw at Portside for this. He doesn't mention that Netflix boss Reed Hastings is a noted deformer at the Broad/Gates level. Here are some links to more on Hastings and below the Portside piece another good analysis from Crooks and Liars. Sep 24, 2011 – When it comes to education, R&D cycles can take years, producing results that are out of date the minute they're ... That Reed Hastings doesn't miss a beat, does he! .... If the Public Mattered to Arne and the Reform Scho. 6 days ago – Netflix's terrific new series, House of Cards, features a legislative battle over education reform as envisioned by Reed Hastings, Netflix CEO. Netflix’s new House of Cards series offers an inside look at Beltway power games and is far better than most of this genre---which is why its retrograde and even racist union-bashing is so unfortunate. At ICE's scheduled meeting today we will have the bonus of special guest Substance, telling us all about what's happening in Chicago with the school closing protests and the CORE re-election campaign. As one of CORE's founding members, George will also talk about the evolution of CORE from an 8 person group of people in 2008 reading Naomi Klein's "Shock Doctrine" to running the Chicago Teachers Union by July 2010. The theme of George's talk will be from dissidents to the realities of power. And that is an interesting theme given many Unity Caucus comments over the years that it is easy for a group like ICE or MORE to be critical when it doesn't have to deal with running a union. And those are not points to slough off and it will be interesting to hear George tell us about that tightrope walk. But I am interested in how the structures of CORE work in terms of organization building. How have they managed to gather so many more committed activists in Chicago than we have done so far here in NYC given they have about 650 schools (soon to drop to 600 if Rahmbo gets his way) while we have 1700 here and 5 boroughs. George often tells me that organizing Chicago is the equivalent of Brooklyn. Some who are not aware may be wondering what role ICE still plays given that the other caucus, TJC, is no longer functioning. We all made a decision that once the organizing groups got MORE up and going their official role as decision makers would disappear and MORE would be a membership org of individuals rather than a coalition of orgs which I for one felt would clog up the process. ICE as one of the constituent groups that helped organize MORE felt we had strong enough bonds between us to continue in some form, mostly as a discussion group to explore issues of interest. And there are some ICEers who are either not interested in MORE, so keeping ICE alive gives them a voice. Plus the ICEUFT Blog that James and Jeff continue to maintain and gives ICE its own voice in the union debates. We don't meet often, especially with the work needed in MORE, but think that as a group of older teachers and retirees we have some things to offer which MORE may not have the time or inclination to address. In fact one of my own disatisfacttions with MORE meetings is the lack of time to just talk. MORE people are more action oriented and that just doesn't always suit old fogies like me who love the give and take we always have in ICE. And we have invited some of the newer people we have met in MORE to join our meetings who we think fit that mold. We meet in a diner and just talk -- and eat. And I never emerge from an ICE meeting without feeling I've learned something or had some issues that were muddled illuminated. The floating agenda and lack of time constraints plus the fact that with MORE doing the work we don't really have to do anything -- but talk and eat. I am updating as more info comes in. Fred Klonsky has great pics. Here is one. "People have a right to the neighbourhoods in which they live," said CTU leader Karen Lewis at the rally. "Children have the right to a safe, nurturing, loving environment." The CTU emerged with considerable public support after it blunted Emmanuel's attempts to tie teachers' pay to test scores last year. It has pledged to continue the campaign of non-violent disobedience. "People who work in the schools and rely on public schools will oppose the mass closings by any and all peaceful means," [Vice-President] Sharkey has told union members. "[School closings] are not something we are prepared to accept without a fight ... We're going to take this fight as far as we have to, to defend our community schools." The United Teachers Federation, which represents educators in New York, hasn't even bothered to mobilize its members, apparently preferring to bide its time until the mayoral election in November when, presumably, someone more amenable than billionaire Michael Bloomberg will be in office. Decked in red t-shirts, members of MORE were out in force at the PEP hearing, standing by parents and students where the UFT leadership was absent. Their hope is that those with a mutual stake in preserving public education can band together to beat back the privatization of learning and build a quality school environment for all. See new info below. This info was sent to OSI and they did nothing. When a video about a teacher is out there they pull the teacher and try to fire them. See what was sent to OSI. And where is the press on this double standard? How long will the DOE protect the administrators at this school? “ On the day (June 6, 12) of the incident, with Student A Ms. ______shielded student A with her body so that she would not get cuffed by School Safety. Student A was pinned against the wall by her AP, her body up against Student A and her two arms against the wall so that she had leverage to move her body if anyone tried to get to Student A.School safety tried on several occasions to try and secure Student A to be cuffed, but Ms. ______ moved her body to and fro and and school safety was not able to cuff Student A. It was absolutely disgusting to see _____’ body up against a student. All of this can be verified by the video tape from the security cameras, she was next to Rm 131. Hill (principal) called in school safety agents and tried to say that they were responsible for allowing Student A to get in building. School safety, at dismissal, is usually relieved by Hill or AP (when they were checking staff out for day) so that an agent can go to the doors to make sure they are closed.______was checking out staff for that day, but she did not go early to relive level 3, because she wanted staff to wait for making complaints about having to wait to check out. By the time _____ got to relieve level 3 was the same time that _____sneaked through the doors. NY Times Attack on Quinn Part of Plan to Make Lhota Mayor by Making Thompson Dem Choice? Friends of Thompson expect him to try, like loser Rudy Giuliani did in 1989, to stay in play on the sidelines and run for mayor again in four years, when a departing Bloomberg might throw him an endorsement or some checks.... Thompson often looked like a befuddled shadow-boxer, tied to Bloomberg at the hip while serving up obligatory campaign lip. and Backlash Against Quinn Grows. RBE at Perdido has often branded Thompson as the worst candidate in history. I do think there is a plan operating here. And that is to make Joe Lhota mayor and the only way to do that is to have the weakest possible Democrat as a campaigner run against him. And that is one Bill Thompson the worst candidate to run for mayor and the supposed behind the scenes choice of Bloomberg both in 2009 and most probably this time too as a stalking horse for Lhota. The Times has run some puff pieces on Lhota and a look at Thompson's backers leads one to some suspicion -- sorry I can't find the link. Ignore the talk about rifts between Bloomberg and Lhota. They are both part of the undemocratic oligarchy that has a choke hold on the city, especially when it comes to the education and real estate gravy trains. The next time you read a New Action leaflet bragging about how they were the only caucus to endorse Bill Thompson, suggest people read this revealing Wayne Barrett piece in the Voice about Thompson's girlfriend/wife and how Bloomberg has helped her. I've written about Ernie, who was in my 4th grade class around 1982. Ernie's story it quite engaging. (I wonder if he knows what they've done to his alma mater, Murry Bergtraum?) I went to see Heavy Like the Weight of a Flame at least 3 times and Ernie always managed to work "Mr. Scott" into the dialogue. My claim to fame. 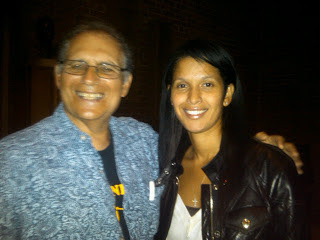 See my piece on Maria, another member of my class who came to our film screening, the first time I had seen her in over 20 years (A Former Student Surprise Visit at GEM Film). 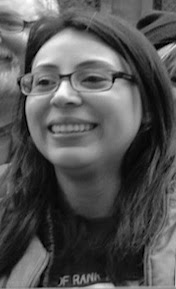 Maria was a "can't miss" student who went to Stuyvesant but also had some trials and tribulations. So many lessons from kids in that class. This was clearly a golden class with many very smart kids and Ernie was one of them -- guaranteed to make it, right? Well, "Heavy...." tells us of his journey and trials that so many of even our top academic performers go through and reinforces the point we make when ed deformers claim the teacher is the most important element. Believe me, that class could have been taught by a monkey and the kids would have been successful. One of the most riveting parts of Ernie's show is the stop and frisk segment when he was 12 years old. Quite pertinent with the current court case going on. The judge should see the show which Ernie is trying to bring to Broadway. MORE has modeled itself on the Caucus of Rank-and-File Educators, which took over the Chicago teachers union in 2010 and led a strike that fought back attempts to cut teacher pay last June. They attribute their success cooperation from the community. Parents and students joined the Chicago teachers on the picket-line. The strike was seen as being about more than a contract, but about the systemic racism within the city's underfunded public schools. Nice article in Nation of Change. A few excerpts, but go read it all. A number of specialty schools were among those given the boot, including the Law, Government and Community Service High School in Queens. Boos and hisses fills the auditorium of Brooklyn Technical High as the governing board for New York City's public schools, the Panel on Education Policy, takes the stage. It's March 11 and the PEP is meeting to consider a proposal from Schools Chancellor Dennis Walcott to close nearly two dozen schools. Parent after parent, teacher after teacher, student after student takes the microphone and pleads for their school to remain open. Similar scenarios are consistently playing out in many parts of the country. Officials in Chicago last week announced plans to eliminate fifty-four schools next year in one swoop. The city's mayor, former Obama White House Chief of Staff, Rahm Emanuel, was on vacation at the time of the announcement and could not be reached for comment. Earlier this month twenty-three schools got the axe in Philadelphia, about ten percent of the city's total. Nineteen protestors, including American Federation of Teachers head Randi Weingarten, were arrested for attempting to block the entrance to the building where Philly's education reform committee dished out the guillotine treatment. In New York, these PEP meetings have become a tired ritual. Everybody knows what to expect, and this evening's turnout is not what it has been in the past. Tonight, there's a significant crowd on hand but it falls far short of years before. 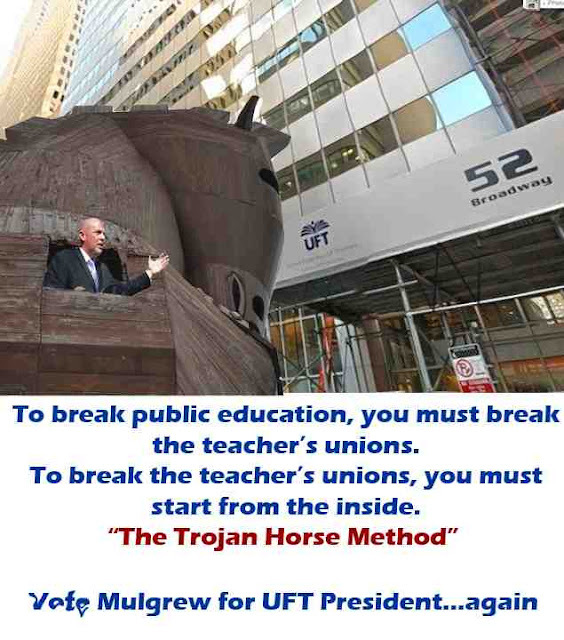 The United Teachers Federation, which represents educators in New York, hasn't even bothered to mobilize its members, apparently preferring to bide its time until the mayoral election in November when, presumably, someone more amenable than billionaire Michael Bloomberg will be in office. Following in the footsteps of many who came before him, Bloomberg systematically underfunded the city's institutions of learning. Simultaneously, his Department of Ed has ramped up standardized testing -- a cash cow for giant publishing houses like Houghton-Mifflin-Harcourt and Pearson, who design the tests used to measure whether schools are making the grade or whether the DOE will toss them overboard. Meanwhile, for approximately every public school the DOE has crossed off its books, a charter school has opened up. Charter's are frequently non-union. They receive public funding but are privately run, sometimes by for-profit educational management firms. In New York, hedge funds have lobbed large sums of money into charters and often sit on their boards. “Hedge fund executives,” The New York Times has noted, are developing into a “significant political counterweight” to teachers unions and other advocates of public education. When it comes to an increased emphasis on testing, charters have a key advantage over traditional public schools: they can cross students off their grading sheets if they're not meeting their academic standards. Often that means students with learning disabilities get shown the door. By contrast, public schools have to take everybody. Public school teachers attest that students with learning disabilities, behavioral problems, or who speak English as a second language commonly enter their classrooms well after semesters have started. Charter-friendly legislation passed by President Bill Clinton in the 1990s helped the neoliberal education model grow roots in the U.S. In the following decade, President's George W. Bush's “No Child Left Behind” bill, followed by Obama's “Race to the Top” program, tied school funding to test results, further facilitating the dismantling of public education. Yet while the city's Department of Ed has used test results to qualify the closings, they have likewise resisted testing classrooms for Polychlorinated biphenyl, or PCBs. ....bodies young and old shuffled out of Brooklyn Tech late on the evening of the 11th. On the stage panel members appointed by the mayor had executed 22 schools simply by raising their arms when it came time to vote. A number of specialty schools were among those given the boot, including the Law, Government and Community Service High School in Queens. This article was published at NationofChange at: http://www.nationofchange.org/shuttered-how-america-selling-out-its-schools-1364307870. All rights are reserved. I don't believe any of them. Just lies to divide and reduce opposition. He is an agent of the new gen robber barons. According to his memo, the tests will not be used to close more schools or create focus schools. They will be used to evaluate teachers, because that is "fair", says the King. So a word of warning to people who think the growing parent opt-out movement is forcing State Ed to modify its policies, my response is watch out for Trojan horses. 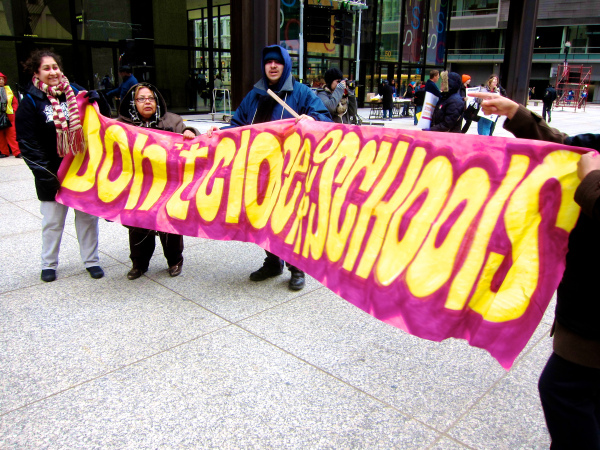 The prime directive of ed deform: privatize as much of the public school, unionized system. The target is union teachers. Reduce their share by eliminating contracts, increase their portion. Speaking of Trojan horses, they have a valuable assistant in all this - the people running the unions who are willing to go along as long as a small share is reserved for their little oligarchy. Their prime directive is to hold onto power and thus while the different primes of deformers and union leaders seem contradictory on the surface they are not when you go deep. The unions deal with Democrats who are good with the deal while fearing Republicans who want the bosses gone too. Note how Rahm's agents will promote Karen Lewis' opposition in the Chicago union elections since Karen is the only big city union leader who won't make that deal. One of the most interesting moments at the Lewis/Mulgrew event at the UFT on March 15 (The Ides) was when Karen talked about how they gave up their perks with Mulgrew sitting next to her squirming, as did much of the mostly Unity Caucus laden room. That makes CORE people less subject to the temptations that accrue to union leaders who spend too much time hobnobbing with the 1% rather than with the members. Sponsored content by the Bill & Melinda Gates Foundation and American Federation of Teachers. Mulgrew may have been at the DA but he wasn't in the trenches fighting for rank and file teachers and public education. Here, John Yanno provides a microcosm of Julie's work and why so many people who have worked with her are thrilled she is running for UFT President. 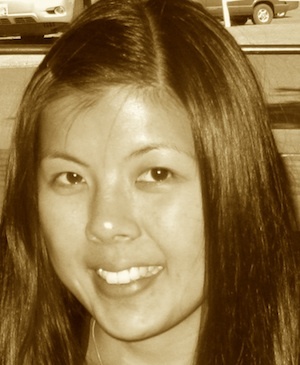 Julie highlighted a lot of her education activism in her response to the anonymous comments on the ICE blog (read Julie’s reply here - http://morecaucusnyc.org/2013/03/25/cavanagh-defends-her-record-and-asks-mulgrew-to-debate-his/). But one thing she didn’t mention was that when I was having a problem at my school, it was Julie and not the UFT who came to help us. In 2010, the NYC DOE proposed housing Millennium Brooklyn in the John Jay High School campus where I teach. While Millennium Brooklyn is not a charter school, many of us at the John Jay campus were opposed to the co-location because of the scarce space in the building. There was also the problem of the DOE failing to release promised funds to the school (outrageously, they told us that allowing Millennium Brooklyn in would release those much-needed funds for our crumbling building). I knew Julie from the Grassroots Education Movement (this was way before MORE) and her fight at PS15. After telling her about what was happening at my school, Julie attended a joint parent and teacher meeting at my campus to help explain what would happen next after the proposal and what steps we could take to prepare for the hearing and the PEP. Julie also attended the hearing at my school and spoke powerfully both to the DOE from the microphone but also privately to at least one CEC member about the failure of the DOE to fund the schools at John Jay. Again, this was before there was any MORE, before Julie was running for any office. Julie, a true activist dedicated to education justice, came and said what the UFT leadership didn’t. What matters is leadership. What matters is vision. What matters is the philosophy by which one will govern and represent the membership. I believe in a union that is member led and member driven. When I, or a candidate from MORE caucus, become president of the union, you will not have to attend a DA and sit idly and listen. The DA will be yours. When we take over leadership of our union, we will organize, support and build fighting chapters at the school level with elected district representatives who are trained organizers. When we run the union, leadership and staffers will make salaries equivalent to the teachers we represent — there will be no extra perks, no double pensions. When we lead our union, you will not go more than three years without a contract, at least not without organized job actions and a fight. When Unity’s stranglehold of the leadership of our union ends, the members will have representation that believes in solidarity with other unions and in the power of our collective action. You will have a union that educates, mobilizes, and organizes our members and the public and who organically partners with parents and young people. You will have a leadership that truly understands that our working conditions are our students’ learning conditions, that a harm to one is a harm to us all, and that we must stand side by side with deep roots in the communities we serve to fight for social, racial and economic justice in our schools, in our city and across the country. 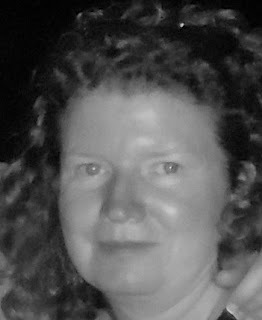 ----Julie Cavanagh responding to Unity Caucus attacks at MORE blog. 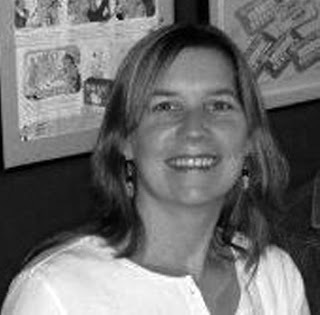 In the midst of dealing with a sick child and getting ready for a few days of breathing room from working as a full-time teacher, mother, chapter leader, presidential candidate, school and neighborhood organizer, best friend and supporter to too many people to count, Julie Cavanagh found the time to respond to the Unity hack/slug attacks while Mulgrew hides under the table. Listen, I actually happen to like Mulgrew from what I see of him, but if he had to face a debate with Julie and answer tough questions about UFT policy he just wouldn't hold up. And she would. So it is funny how the Unity people claim she would cave while backing Mulgrew's refusal to debate. So I don't blame Mulgrew for ducking. That doesn't make him a bad person and maybe it means he is smart to not want to debate Julie, knowing full well her capabilities and his weaknesses. (Randi was willing to debate the late Michelle Malkin representing PAC, a tiny caucus, in 2001). But then the Unity attacks on her qualifications in such a coordinated manner means he must bear responsibility for them and that means he is condoning them while the anonymity of the commentors provide cover for people who are clearly amongst the leadership, allowing Mulgrew to say, "who me?" It happened to Kit Wainer in the 2007 campaign when thousands of teachers received an mailing at home attacking Kit. Randi claimed she didn't know. Sure. Can we expect a similar mailing with the same type of attack on Julie this time? I'm not speaking for MORE here but let's challenge any of the Unity hacks/slugs or anyone else in Unity to debate any people in MORE in a public arena. Watch them duck this one too. Let any of the commentors on the MORE, ICE, and Ed Notes blogs come forward and stand up for what you say you believe. How about Emil and Camen debating Gloria on what exactly happened with the UFT governance committee instead of using the DA to beat Gloria up? No guts, no glory. And watch New Action in all this. They will probably issue some inane statement about keeping the election process clean. Then watch some of them go over and schmooze with Julie after the election and commiserate. I try to tell Julie and other MOREs that New Action is worse than Unity. They know they can never contend for power and have no intention of doing so but will do Unity's bidding in making sure a CORE-like caucus will not get traction in NYC. They really are despicable. Just look at their leaflet taking credit for the sun shining and making it look like they are criticizing Unity while burying the fact they are running Mulgrew at the top of their ticket -- and don't think Unity people are not helping them get their stuff into schools -- Leroy Barr killed a potential lower level debate between MORE and Unity over including New Action -- they like 2 against 1. One of the major miscalculations on the part of Unity is their basic ignorance of Julie's stature in and beyond NYC. And all the people she has worked with. They live in their insular box. All they are worried about is the election results this time. As more teachers get to know Julie over the coming years, these attacks will resonate with them. You know my interest is not in the election but in building a core group of activists with a wide reach and the election was seen as a way to do that. The very fact that Julie has chosen to work with MORE, given her wide range of options, is a sign of change that is a real threat to Unity. Thus these attacks. As John Kerry found out in the 2004 presidential campaign, mud sticks so you better fight back fast and that is what MORE Presidential candidate Julie Cavanagh is doing. She will not be "swift-boated" by Unity. Here is her response on the ICEUFT blog to the viscous Unity attacks on her fitness to lead the UFT . It will also be on the MORE blog. Please read and comment but don't forget we still need to work hard on the ground game to get out the vote as ballots will be mailed as soon as we come back to school. Is UFT's Delegate Assembly a Forum for Candidates' Debate? Wow. While having breakfast with my husband and almost nine month old son (who is finally on the mend after more than a week of a fever ranging 102-104 every day, during the same time my best friend’s 18 month old daughter was in the hospital, who by the way, is also a teacher and a single mother of two young children), I picked up my phone to see a mention on Twitter from Arthur Goldstein (teacher and chapter leader in Queens). I frankly couldn’t believe what I was reading. Usually a mention from Arthur has me in stitches. Not this time. Now instead of relaxing while my baby takes a nap, I am writing this in response to comments on the ICE and MORE blogs attacking my commitment as a unionist and chapter leader and questioning my worthiness as a candidate for UFT President. All of this because I, and the caucus I represent, had the nerve to insist that Michael Mulgrew engage in a forum or debate with me so that our members can be fully informed and engaged when it comes to their voting choices in the upcoming election. First let me say that I do not feel I need to defend my role as a chapter leader. Nearly every UFT member in our school, signed my petition for UFT President, and many of my colleagues are actually running in this election with MORE. Second, I certainly do not need to defend my attendance at Delegate Assemblies. While I do attend, often, DAs are not a democratic forum. As I am sure the commenters on the ICE and MORE blogs know, and as all Unity folks know, the room is not even large enough for all of the CLs and delegates to be seated and when you do go and sit, you listen to Mulgrew practice his stand up routine for an hour or so, after which you *might* have the chance to ask a question or bring a resolution to the floor if Mulgrew recognizes you. Regardless, it is an effort in futility because it really doesn’t matter what you say, ask or bring to the floor; the ruling Unity caucus will disagree with it or vote it down, since they control the DA. If the UFT leadership actually held Delegate Assemblies each month that were informative and provided fair and ample time for discourse and discussion, I would be there in a New York Minute. As this is not the case, I attend as many Delegate Assemblies as I can, but sometimes other events such as a childcare issue, my son being ill or an important meeting in my community to bring a new partner into Red Hook to service children and families with disabilities will take precedence. I do not need to go to the delegate assembly to prove who I am or that I am committed to my union; I act every day in a way that highlights why I should be president of the UFT. I am a mother and a teacher. I have been a teacher for thirteen years, and have been working with children with special needs and their families for even longer. I have stayed in the same community and school since moving to NYC in 2001, because I am committed to the process of leading school change and improvement from the school level. I became chapter leader at the request of my colleagues a few years ago and have worked hard with them, our parents, and our principal to make sure our children and our teachers have the best learning and working conditions possible. I fought for my school during the dictatorship that my union handed to the mayor, during a co-location of a charter school in my building that my union didn’t adequately help fight (which is difficult since the UFT leadership chose to co-locate its own charter), while our class sizes rise steadily and our budgets are slashed, while teacher’s choice was eliminated and insultingly reinstated to cover no more than a few boxes of pencils, while ATR’s rotate in and out of my building- some of whom have approached me on the brink of tears desperate for someone to listen to their struggle, during a time of a tidal wave of assaults on our children, our schools, and our profession. Throughout this time, I not only worked in my own school community, I worked with parents and union members across the city and the country to fight back. You can find links to some of my work here, but I will list a few highlights: I co-wrote/edited/produced/and narrated a film that stood up to corporate education reform, a film that has been seen by hundreds of thousands of people in every state and on every continent (except Antarctica); I have appeared on several TV and radio programs and written several articles where I have spoken out forcefully against corporate education reform and for the schools our children deserve – and I was invited or asked in every single case to participate, so while those in Unity caucus pretend to not know who I am or what I have done (but yet ”know”, falsely, that I am not at DAs) apparently the national media does; I have also worked with other union members in the city and nationally – I helped organize a conference, and attended and facilitated, in Chicago in the summer of 2011 with other teacher union members; I helped lead the solidarity efforts with Verizon workers at the end of that same summer. I have sued, with a parent and a student, Mayor Bloomberg for the right to protest school closings and co-locations on his block and successfully organized and co-led that protest. I was the only teacher petitioner in the effort to stop and overturn the appointment of Cathy Black and also recently the only teacher on record to join with parents in sounding the alarm of student and teacher data privacy issues regarding SLC/inBloom data systems (Randi Weingarten, by the way, sits on inBloom’s advisory board). I say all of this not because I think anything that I am or that I do is so special, I share this information to highlight the outlandishness of the attacks from people whose usual line is there should be no attacks on union folks because we are under attack from outside forces and therefore need ‘unity’. I also share this because these are the things the president of a union should do. Beyond of all of this, if Unity caucus can attack me for the number of times I went to the DA (this year I believe I have been to four DAs), the number of grievances I have filed (none), the number of UFT trainings or committees I have attended (none), then I wonder why they nominated Randi Weingarten as their presidential candidate, since she never attended a DA as a chapter leader, was never a chapter leader, and therefore never filed a grievance, attended the trainings, etc. I personally do not think any of those things are what makes someone qualified to run our union. What matters is leadership. What matters is vision. What matters is the philosophy by which one will govern and represent the membership. I believe in a union that is member led and member driven. When I, or a candidate from MORE caucus, become president of the union, you will not have to attend a DA and sit idly and listen. The DA will be yours. When we take over leadership of our union, we will organize, support and build fighting chapters at the school level with elected district representatives who are trained organizers. When we run the union, leadership and staffers will make salaries equivalent to the teachers we represent — there will be no extra perks, no double pensions. When we lead our union, you will not go more than three years without a contract, at least not without organized job actions and a fight. I am more than ready to share who I am with the members of the UFT and I am happy to answer their questions. In fact, that is precisely the reason I sent the email below to Michael Mulgrew. I believe a union membership with a less than 30% voter turnout needs to be engaged and exposed to open discourse and conversation between the two people who seek to represent them. Mr. Mulgrew, I am still waiting for a response. While we have differences and disagreements concerning education policy and union democracy, we both are committed to our union and the children we serve. In that spirit, we should be able to engage in an open conversation during election season so we can ensure our fellow members are informed and engaged. To this point you have ignored outreach regarding your participation in a debate or question and answer town hall with me. I would like to directly and formally ask you to participate in such an event. I believe that our members deserve the opportunity to ask questions of their presidential candidates and I strongly believe this kind of open and honest discourse strengthens our union: an educated and engaged membership that is listened to and participates makes us stronger. There is precedent for an event such as this between presidential candidates during election season. As you know, Randi has participated in presidential debates in the past: one in 1999 and again in 2001. I am open to a debate format with a third party moderator or a town hall question and answer event with the membership. My only specific asks are that the event be filmed and/or livestreamed so that we can maximize member participation, that the date, which I am open to any, be agreed to a few days in advance, so that I can secure child care and that the date be as close to April 3rd as possible, so that we provide a fair amount of time for members during the election timeframe. There is no little irony in these Unity Caucus attacks on parents of young children as somehow not being qualified to serve in high union positions. I have to say I am disgusted by the petty and personal attacks against a young mother on this forum ---There are few as poised and articulate as Julie Cavanagh. It's pretty hard to get pro-teacher pieces published in the Daily News. Julie's done that. It's pretty hard to be brilliant and articulate enough to narrate a film. Julie's done that too. I've met Julie, and I knew right away how smart she was. I'm very sorry some small-minded individuals have decided to target her. --- Arthur Goldstein on ICE blog. ... she's running for the grueling, time consuming position of UFT president. That's pretty much being on call 24-7. Maybe she shouldn't be pursuing this right now. Seriously, I hope everything is ok with her baby, but, how often does that happen? And, would it be a valid excuse to blow off the mayor with?----- Unity Hack comments on ICE blog. Get rid of it --- Bloomberg to pregnant employees. Arthur is responding to some of the comments Unity slugs are leaving on the ICE blog so typical of the attacks made on women for eons. Arthur, stop being a wordy blowhard. Arthur responded: Frankly, your inability to engage in civil discussion suggests you are not a teacher remotely like me. Then a hack asked: Has MORE's candidate, Brian Jones, been attending the DAs? Brian is not a delegate or chapter leader and is on child care and study leave. That's 2 Unity attacks on MORE candidates who are parents of young children. By the way, these are the same 2 candidates who narrated the movie that has gone around the world with a defense of teacher unions that Unity has not come close to. Remember Bloomberg's attacks on women working for him who became pregnant ("get rid of it") and the subsequent law suits? One should be shocked that in today's world we would hear people saying these things, triggered by Julie's not attending the recent Delegate Assembly due to her child running a high fever. (The fever has come down). I have to say I am disgusted by the petty and personal attacks against a young mother on this forum. It's not all that hard to attend the DA. It's pretty hard to get pro-teacher pieces published in the Daily News. Julie's done that. It's pretty hard to be brilliant and articulate enough to narrate a film. Julie's done that too. I've met Julie, and I knew right away how smart she was. I'm very sorry some small-minded individuals have decided to target her. There are many chapter leaders who can go to the DA and cheer as we partner up with Bill Gates and set up teachers to be vilified in the pages of the NY Post. There are many who can rationalize things like mayoral control or the unconscionable fashion in which we treat ATR teachers. Personally, I'd prefer they stop attending the DA altogether and wake up to precisely what this new junk science evaluation system will mean for working teachers. There are few as poised and articulate as Julie Cavanagh. There are some things that can't be learned, that can't be taught, and innate brilliance is one of them. I'm not seeing much of that here. Shame on all of you anonymous cowards who attack her. Julie missed her advertized appearance at Karen Lewis' speech at NYCORE last week too and MOREs rose to cover for her and at no point did I hear anyone say, "Maybe we should not have chosen her for our presidential candidate." But maybe that is one of the many differences between Unity and NYCORE. 1. Will someone make or second a motion to have the Delegate Assembly attendance rate of all chapter leaders and delegates freely available to all the members? 2. Why is it important to register at the Labor Day Parade? 3. Amount of grievances filed is a reflection of what exactly? 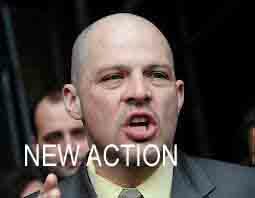 an inept administration, a lack of cooperation amongst the admin and uft, or genuine problems. Remember, being correct and being what the leadership thinks is winnable are two entirely different things. 4. Trained by the UFT means what exactly? It would be eye-opening to see what members thought of their “representation” at these hearings. 5. What does any of this have to do with being able to run a Union? Is this your litmus test? If it means that much to you, “anonymous”, could you tell us Randi's record on those issues while she was actually a teacher? Ah, yes, the same Unity slug supported Randi with her 6 months of teaching and never having been a chapter leader. After going to many nonsensical, windy DAs and witnessing not very much happen, ever, I've taken to reading your sharp reports. It takes much less time than driving to Manhattan, and saves me over 20 bucks on parking each month. I want to thank you, James Eterno, from the bottom of my heart, for attending these things and giving such a clear picture of what happens, so that I don't have to. Mulgrew talks and talks and talks and talks and talks saying how great he and UFT are. He must be in love with the sound of his voice or is repeating his subliminal messages learned during his sleep recorded messages. After an hour of listening to his nonsense, then we are treated to Leroy Barr announcing the dates for the next time we can hear Mulgrew preach to his faithful how great he is. After Barr, the Unity Gang all raise their cards so they can tell Mulgrew how great he is prior to asking their embarrassingly ignorant questions. This resembles more of a CULT than a Union Meeting. Then there is a new motion period. At this time some delegate from some weird left wing organization raises a motion to support Fidel Castro or Raul Castro. Then, the Unity Gang, once again raises their cards to say how our union leadership is not fooled by the radicals within or ranks. People in the schools would not believe what goes on. After this, the regular motions follow and they are usually things like supporting daylight savings. You have to respect the people who can sit through this farce every month and sustain the ability to not commit suicide. Going after Julie and anyone else that does not attend the CULT like meetings shows that some of the Unity Flatterers here are in need of skilled professionals that may successfully reverse brain washing. So after the Unity Caucus slugs turned down a resolution at the UFT delegate assembly calling for a debate between the only 2 presidential candidates - yes Virginia, Mulgrew heads both the New Action and Unity slates -- and don't think Unity hasn't been using its people to make sure New Action election materials are showing up in as many schools as possible to sow confusion in the ranks --- the slugs started showing up on the ICE blog attacking Julie, who was home with a sick child, for not attending the DA. And red-baiting McCarthyism too. But we don't expect anything less from them. Does Randi Want to Steal Your Lessons?